EastEnders' Ian Beale is to leave arch enemy Phil Mitchell for dead. 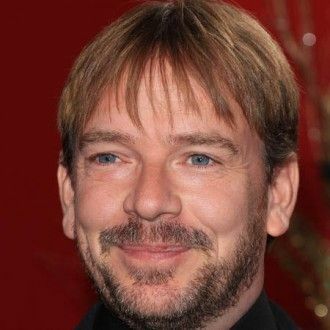 The Walford wimp - played by Adam Woodyatt - has faced weeks of blackmail from the bad boy after he found out about Ian's illicit affair with middle-aged minx Glenda Mitchell (Glynis Barber), who Phil is also bedding. However, when Phil (Steve McFadden) collapses during a heart attack, Ian sees the perfect opportunity to wave goodbye to both his financial and emotional problems for good. Glynis explained: "Phil is having a passionate encounter with Glenda in the club when he collapses. When Ian walks in and sees Phil on the floor, he rushes Glenda out -pointing out it would be a bad idea if she's seen with Phil. "She just presumes that Ian will take care of things while she gets out of there and rings the ambulance. If Glenda knew what Ian was really going to do, she'd be horrified." While Glenda believes Phil is on his way to hospital, Ian is actually relishing in the opportunity of being able to tell his lifelong enemy how he has made his life hell, before quickly feeling the scene and leaving Phil fighting for his life alone. Glynis added to Inside Soap magazine: "Glenda calls an ambulance beforehand, and it does arrive eventually. So she assumes that Phil is on his way to hospital and leaves again. She has absolutely no idea what Ian is really up to."